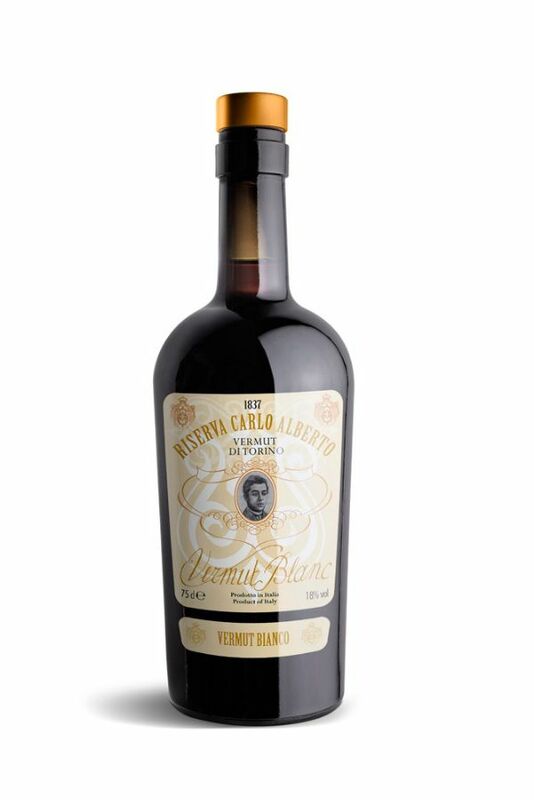 Riserva Carlo Alberto Vermouth is made traditionally adhering to the 1837 recipe of Carlo Alberto’s chef. This exceptional spirit benefits from its unique and rare ingredients and traditional production methods that require expertise, accuracy and a long production time. Riserva Carlo Alberto Vermouth is blended with refined botanicals from the Piedmont’s fertile Po valley, a region known for its superior farmland. Ingredients are macerated in small batches and produced without the use of artificial essences and industrial processes. Aromatized with 25 carefully selected herbs and spices. A sweet nose of honey. Full-bodied and sharp on the palate, with sweetness soon catching up. A smooth finish shows honey, banana and a bold kick of spice. Full and long lasting flavor, evoking a summer stroll through vineyards, where aromas of wild herbs and grapevines unchain the spirit. Try it chilled. Perfect in all the classic cocktails that call for white vermouth.